The drive among business partners to secure resources is one of the very reasons for establishing relationships between buyers and sellers. Inevitably, the web of interdependencies in which they are caught gives rise to power, whereby one party tries to control the behavior of the other. This pivotal role of power in buyer-seller relationships has attracted the attention of many scholars since the early 1970s. Despite a sizeable amount of research produced on the subject, it has been described as too scattered, fragmented, and non-programmatic to yield a clear picture. As a response, we aim to provide such a holistic picture by identifying, synthesizing, and evaluating the antecedents and outcomes of exercised power in buyer-seller relationships, based on a meta-analysis of extant empirical research. Our conceptual model contains ten key constructs, divided into three groups, namely: (a) drivers (i.e., dependence), (b) exercised power sources (i.e., referent, expert, legalistic, reward, coercive), and (c) consequences (i.e., trust, satisfaction, commitment, cooperation). We hypothesize that higher dependence is positively related to the exercise of referent, reward, and expert power, but negatively related to the exercise of legalistic and coercive power. We also postulate that the exercise of referent, reward, and expert power positively affects trust, satisfaction, commitment, and cooperation (which indicates the quality of the relationship), while the opposite is true with regard to legalistic and coercive power. 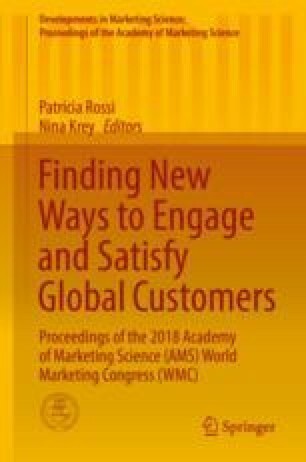 Our meta-analysis covers all empirical studies published in English in internationally recognized academic journals on marketing, management, and general business, from 1975 to 2017. Pertinent articles were identified through a combination of electronic keyword search in selected databases and a manual search of the references sections of articles. All studies were content-analyzed to find the frequency of appearance of the various constructs, as well as available correlations between them. Information about the associations between the constructs of the model was extracted from 74 independent studies contained in 67 articles, published in 37 journals. Data were analyzed with meta-analysis structural equation modeling. Findings indicate that dependence has indeed a negative relationship with coercive-related strategies of exercised power, but a positive impact on noncoercive exercised power strategies. The exercise of referent, expertise, and reward power, in most cases, increases trust, satisfaction, commitment, and cooperation. In contrast, the exercise of aggressive forms of power (i.e., legalistic and coercive) plays a destructive role because of reducing trust, satisfaction, commitment, and cooperation. Study findings carry significant implications for theory, research, and practice.